The nobility of this ancient fibre is no better illustrated than as a tablecloth of Belgian linen. 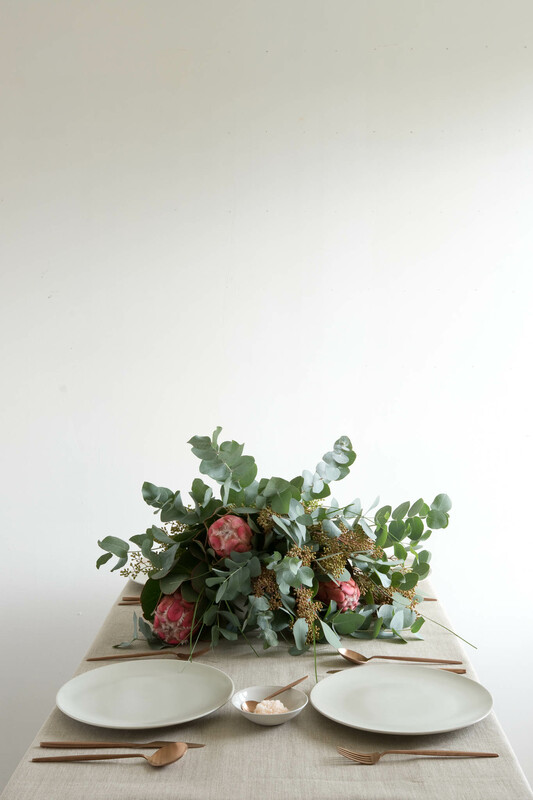 It is an elegant table dressing and provides a luxurious natural backdrop to a setting of flowers, wood, metal, earthenware, porcelain and ceramic. They have 5 cm hems with mitered corners. All orders that contain one tablecloth and a minimum of six napkins will be packed in a medium Azuma bag, at no additional cost to you. 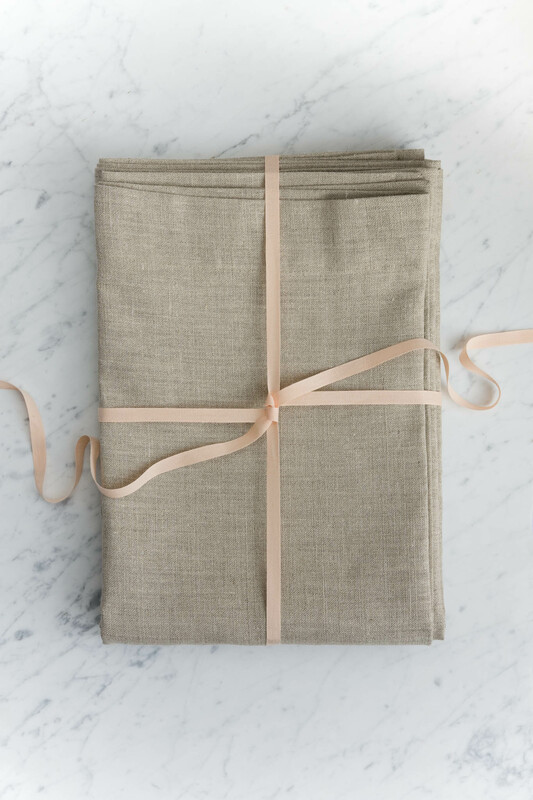 Storing your precious table linens is simple and tidy. The Azuma bag reduces creasing by preventing the items from being tossed and tumbled around on the shelf and makes it easier to find the set as they are all bundled together. 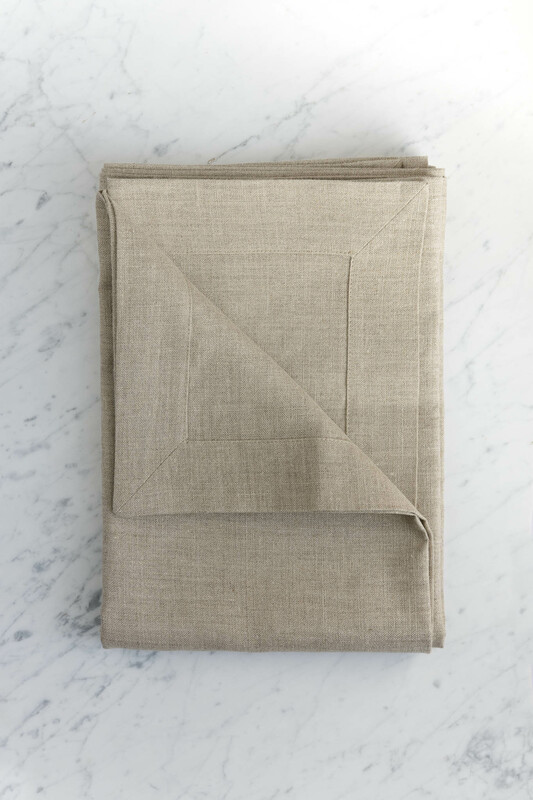 CROP linen cloth is super-wide. The maximum tablecloth width is 274cm and any length is possible. As tables vary in size and shape, I generally make all tablecloths to a custom size. So, you can order a tablecloth designed especially for your table. I have three ‘drop’ lengths. A casual drop of 20 cm; a fine-dining drop of 35 cm; and a theatrical drop of 60cm. Or you can choose a custom drop. If you require a custom size please contact me via the contact form so that we can discuss your needs. All of my items are made-to-order, I do not charge additional fees for custom orders. 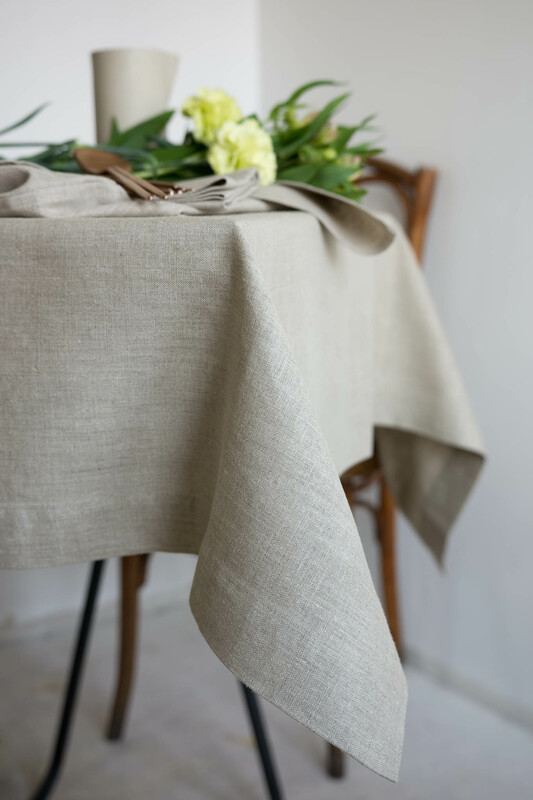 This tablecloth is made with 100% European linen. It carries the Masters of Linen® mark, a sign of excellence for linen made entirely in Europe, from field to yarn to fabric. The Belgian Linen™ Certificate of Origin guarantees the fabric really has been woven in Belgium and has passed severe quality tests.